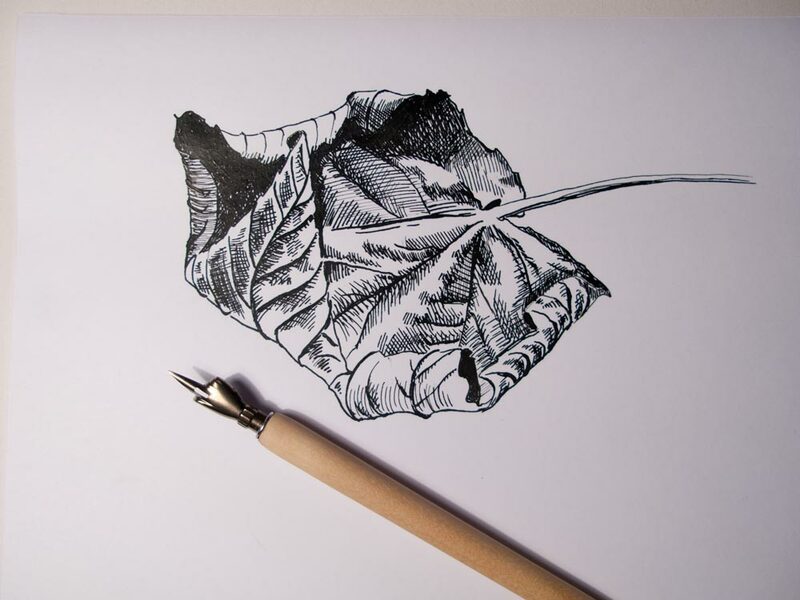 A sketch of an old leaf kept on my windowsill as a convenient and recurring subject, this time using an index nib dipped in Dr Ph. Martin’s Bombay Black Indian ink. 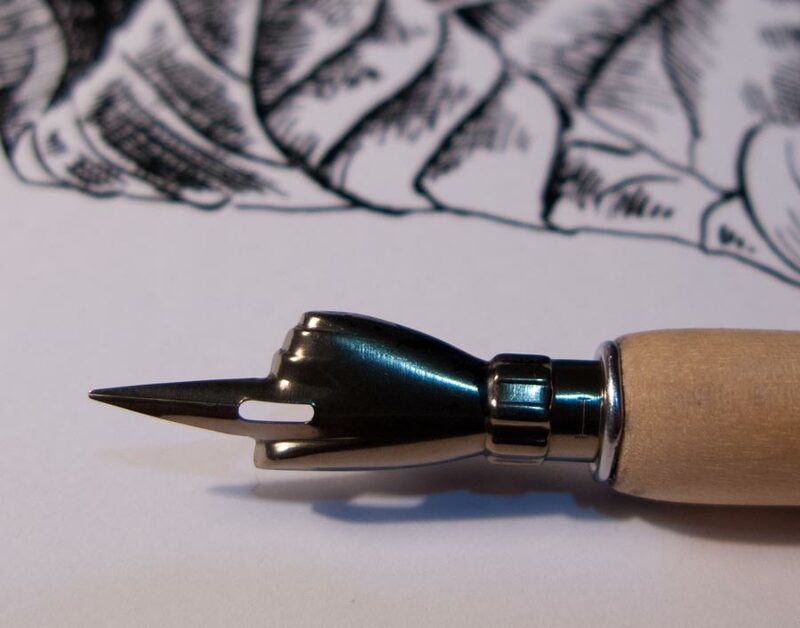 The paper is Bristol board which doesn’t bleed with heavy applications of ink and provides a hard, even surface over which the nib can glide smoothly. I found the nib in Meticulous Ink (Walcot Street, Bath), and bought it as much for its wonderful design as for drawing. A reservoir of ink is kept in the palm of the hand. It turned out that it is surprisingly smooth to draw with, compared to some the smaller, scratchy Gillott nibs.